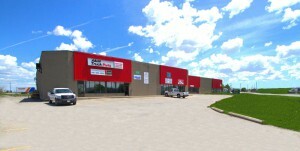 Excellent industrial building located right next to Highway 401 that provides great exposure and will easily suit all of your transportation needs. Units in this corner-lot property come in a variety of sizes with open spaces and both truck-level and drive-in door options. Currently there are no units available, please contact us for future availability.